What an honor it is to serve as the Episcopal Supervisor of the First Episcopal District under the leadership of our Bishop and my husband, The Rt. Reverend Gregory G.M. Ingram. We are excited about serving one of the finest Episcopal Districts in all of African Methodism. Each of you have truly been a blessing to our ministry and we are encouraged that the next few years will bring even greater blessings. This webpage is an opportunity for me to share with you on a consistent basis updates, announcements and general information about the various ministry initiatives and activities that I am involved with on a daily basis. Please visit this website and particularly my webpage often to keep up with all that is happening throughout the First Episcopal District and the seven Conferences we are assigned to lead. On the left hand side of this page you will find a News and Blog Post that will be updated frequently for your review. I invite the various Component leaders to participate by sharing with me highlights of information you would like for me to emphasize on this page or on any of my postings. As you know I also like to use Facebook Live and will eventually post many of the wonderful moments and experiences that are captured along the way prayerfully on this page as well! Finally, please make sure that you are connected to all of the information resources made available through this digital platform. Bishop Ingram and I are looking forward to sharing with you and keeping you as well as others informed who may not have an opportunity to attend any of the District meetings held throughout the Conference year. 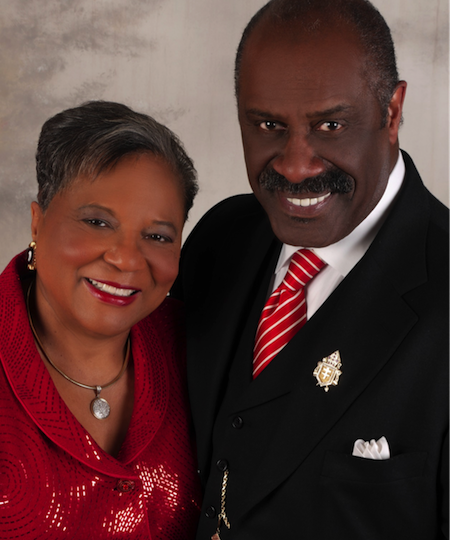 Thank you so very much for all of your support of Bishop Ingram and I, and may God continue to bless each of you real good throughout the remainder of this year and beyond. Enjoy our new website! Please fill out the contact form at the bottom of the previous column to be added to our mailing list so that you can stay informed about all that is taking place throughout the First Episcopal District, and sign up on this page as well to receive an electronic (email) copy of the Weekly District Newsletter which can also be viewed by clicking the icon below! This newsletter provides information on events and activities taking place around the First Episcopal District. The newsletter is a weekly publication and is emailed to you upon request. Only register once to receive a copy each week, you can opt out at anytime.